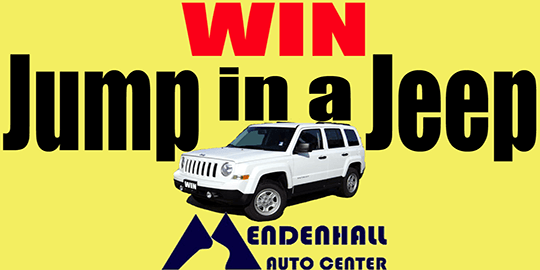 Jump in a Jeep this Summer with KINY and the Mendenhall Auto Center! Enter to win a brand new 2016 Jeep Patriot! Sign up locations are below, head to any or all of these locations to enter, then listen for your name on KINY to qualify! Qualifier names are read out on-air each day, Monday through Friday, at: 8:35am, 9:35am, 12:35pm, 4:35pm, and 5:35pm. Listen in at those times to hear your name, and if you do, call the station at 907-586-3630 to be qualified!